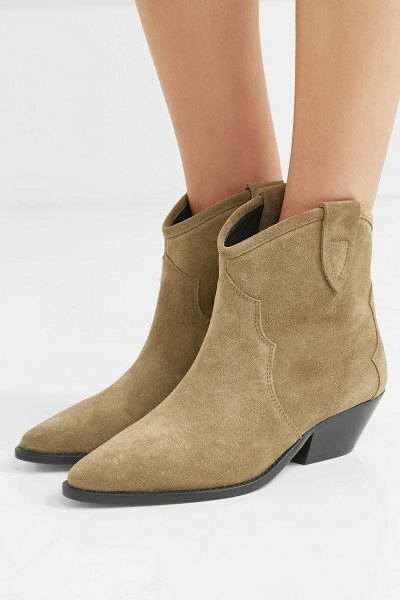 Cowboy boots were spotted in so many Fall '18 runway shows. 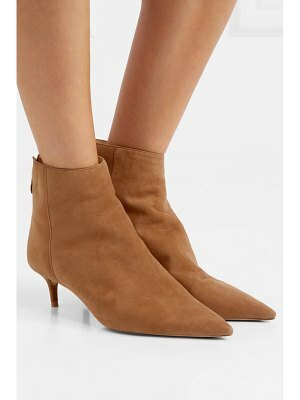 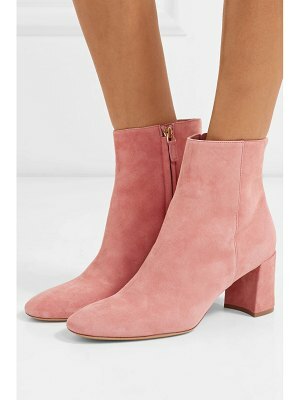 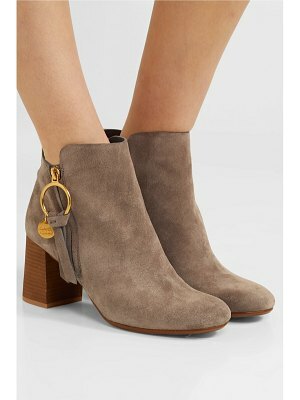 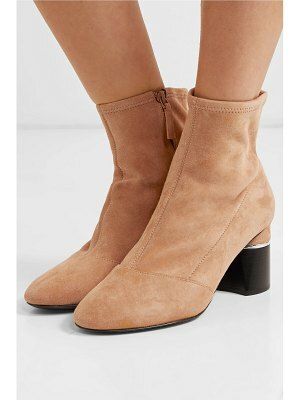 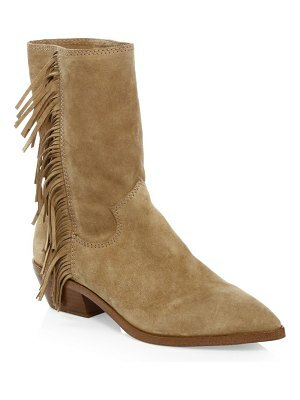 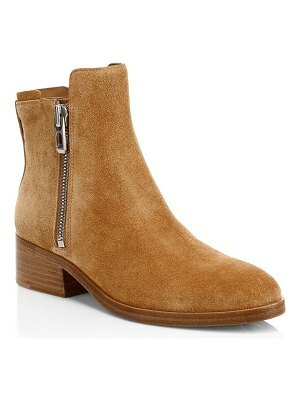 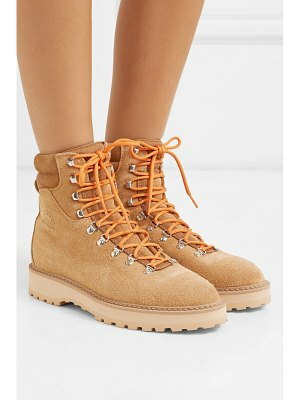 A refined take on the Western style, Isabel Marant's 'Dewina' pair has been crafted in Italy from soft suede and set on an angular Cuban heel. 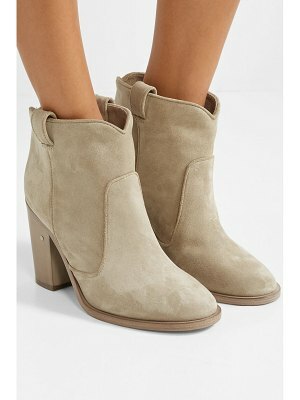 The taupe color looks great with floral-print dresses and every shade of denim.